Janet Lee Edgar, nee Fudge, of Steelville, Missouri passed away Thursday, November 15, 2018 in St. Louis at the age of 67 years, 10 months and 28 days. She was born in St. Louis to Leonard and Anna Mae Fudge on December 18, 1950. In December of 1971, Janet was united in marriage to William “Bill” Edgar at the Cherryville Baptist Church and to this union two sons and one daughter was born. 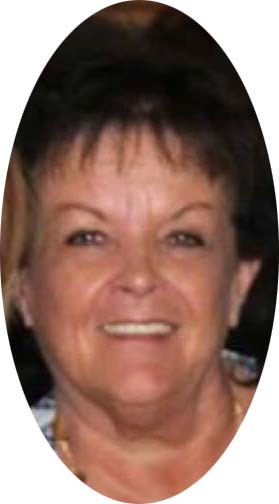 Janet was a beautician for several years and employed in the Crawford County clerk’s office, Perkins Lumber and for the last few years as the Administrative Assistant in the Steelville Elementary School office. She enjoyed visiting Amy and going to the beach whenever she could. Janet enjoyed buying scratch-off tickets and hoped for a good win. Most of all she loved being with her family, her children, grandchildren and great-granddaughter. She was preceded in death by her father, Leonard Fudge; two brothers, Richard and Bobby Fudge; and sister-in-law, Janet Edgar. She will be sadly missed and lovingly remembered by her husband of almost forty-seven years, Bill Edgar of Steelville, MO; two sons, Billy (Shelia) Edgar of St. James, MO and Brian (Toni) Edgar of Steelville, MO; one daughter, Amy (David) Ferreira of Beaufort, S.C.; mother, Anna Mae Fudge of Steelville, MO; brother, Greg (Teresa) Fudge of Cuba, MO; two sisters, Lisa (Tim) Evans of Kansas City, MO and Marcia (Larry) Sego of Cuba, MO; brother and sister-in-laws, Jim (Brenda) Edgar of Irondale, Jerry Edgar of Cuba, MO, Jack (Jane) Edgar and Jo Ann Becker all of Steelville, MO, Joyce (Claird) Gibbs of Dillard, MO and Mary (Mike) McConnell of St. Charles, MO; eight beautiful grandchildren, Blake, Breanna, Gracie, Kindel, Jimmy, Eli, Nathaniel and Nichelle (Zakary) Loving; and one precious great-granddaughter, Addilynn; other relatives and many friends. The Family received friends from 3:00 p.m. to 6:00 p.m. on Sunday, November 18, 2018 at the Britton-Bennett Funeral Home in Steelville, MO. Funeral services were held at 11:00 a.m. on Monday, November 19, 2018 at the Britton-Bennett Funeral Home in Steelville, MO with Rev. Jerry Beers officiating. Special music of "Millionaire", "Wind Beneath My Wings", "To Where you Are" and "Somewhere Over the Rainbow" was played. Memories were shared by daughter, Amy Ferreira. Committal prayer and interment were in the Steelville Cemetery. Honored to be casket bearers were Dave Ferreira, Blake Edgar, Jared Edgar, Jason Edgar, Larry Sego and Tim Evans with Jimmy and Eli Ferreira as Honorary. The Family was served by the Britton-Bennett Funeral Home.